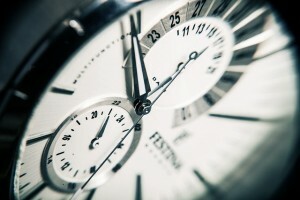 Today’s article is about the importance of time management. Do you ever feel like you don’t have any time anymore? anyone know how to stop time? Are you constantly feeling rushed and short on time to do the things you love? This article will help your productivity and help you find the time to get things done. A well organized life can find time for anything and everything, it’s all about what you give priority to. There are exactly 168 hours a week, 1,440 minutes in a day, or 24 hours for you to play with. That gives you exactly 96 fifteen minute intervals to work with. If you think about it, its not about a lack of time, it’s all about what you make the time for. Eating: Eating good food is important, whether you prefer to do it 3 times a day, 5 times a day, twice a day, or once a day (intermittent fasting). Finding ways to make this process more simple yet healthy is a priority. Sure T.V. dinners may be quick, but your health should be put first. Make the time to plan for meal preparations and even dishes so they don’t magically pile up. Working: Work, or however you make a living, is an important part of time. Hopefully you find a work that you like because your mental health is also important. Work hours may be set or flexible. If they are pre-scheduled hours from an employer, they are easier to work with because you can schedule around them. Hygiene: Do you find yourself forgetting to brush your teeth, bathe, and other misc cleaning? It helps to do these things at a regular time so that you can streamline your schedule without much thought. Sleep: Sleep is one of the most important of these, but many people don’t take sleep seriously. Sleep has many purposes and is vital to your well-being. Many people cut back on sleep because they are trying to find time for their busy lives, but I strongly advise against this. It will only take away from the days to come, whether it is noticed or not. Sleep takes a large chunk of time, but you shouldn’t cut out something you need. That is like saying, “I’ll breathe half as much instead to conserve air.” Unless you are in space and running out of air, this doesn’t seem like a wise option. I personally learned that even though I can run on 5 hours a night, my body and mind functions best with 8-9 hours of sleep per night. For some, the Sleep Foundation recommends more. Downtime: Downtime is less talked about. This is time in which you do nothing. Yes, nothing. This means no reading, no messing around on your phone, but just relaxing in stillness. It could also be called meditation. This is important because your mind and body requires downtime to process and de-stress. Most people only get downtime right before they fall asleep in bed. Few realize the quality of their sleep would improve greatly if they also practiced this during the day when they had free time. It only takes a good 5-15 minutes to do, but can be practiced longer. All it involves is getting in a comfortable position, clearing your mind, relaxing, not moving. For additional reasons you might want to try this, read this article: Benefits of Meditation. But how do you fit this in? 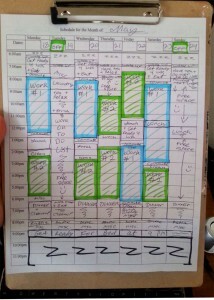 I find the best and easiest way to figure out your busy schedule is to write it out. 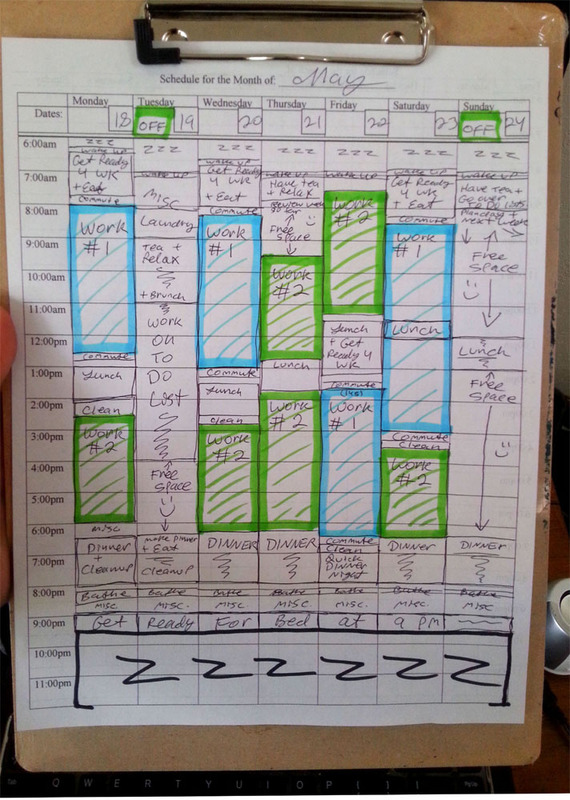 Once you can visually see the time you have available, it helps you to plan it efficiently and in detail. It also helps to make certain tasks at the same time everyday because it will help simplify and streamline the process. These tasks could be mealtimes, laundry, wake up times and bedtimes. It also helps for your circadian rhythm to plan sleep times at the same time everyday. Often times many sleep problems are solved by just this. It helps melatonin to be produced at the proper times, allowing sleep to come easier when it’s time. A to do list helps you from forgetting important upcoming tasks and helps you remember the tasks that need to be completed. For anyone who doesn’t have a to-do list, I advise that you start. Keeping a notebook with you at all times, or just a to-do list app for your phone can make a world of difference! Don’t schedule all of your time. Leave gaps so you can fit in things as you go. The key is using planning to stay on top of the most important tasks of the day, while leaving time for anything else you might want to do. It helps to create awareness of where your time goes and what you actually spend your time and energy on. Also, occasionally plans change, and leaving gaps helps you to re-plan with ease. If you find it difficult to stick to times, set an alarm. Alarms aren’t just for waking up, they can even be set for getting ready for bed. It’s so easy to get sidetracked when you are in the middle of an activity, but an alarm remembers for you. Never again do you have to be late for a meeting somewhere, or for anything else for that matter. Alarms are great for when you are cooking or for any other deadlines during the day. I greatly advise that you make use of them. Much like my example, I advise anyone with a busy schedule to schedule their time in blocks. Many activities you can plan out in a time frame of 1/4, 1/2, or hour increments. A Block system helps break it down and keep it simple. These should help with your goal planning for the week and keeping your schedule in order. I also advise keeping a monthly/yearly planner. For the past 5 years I have used this type of monthly/yearly planner from Blue Sky. I still haven’t found one I prefer more. Anyway, hope this all helps. If you still feel like you need a little more guidance on this topic, you might benefit from reading, Time Management From the Inside Out. It’s some of the best information I know of on this topic. It helps to break down the process in an easy way that can help you organize your life, and time.